A vegan powerlifting belt can be a very useful piece of supportive equipment that can be utilized in the gym. However, as much as it comes with great usefulness there’s a level of understanding that equals that of why and when you should be employing the use of a powerlifting belt. In this article, we’ll be dwelling more on the reasons why you should try the vegan powerlifting belts. Many think that powerlifting belts act like a torso brace support for reducing the stress on your core muscles. This is false. They actually have the ability to help one increase how much they use their lower back and abs muscles. Here are a few reasons why you should try this product out. Research has shown that when you’re lifting heavy boxes, using a weightlifting belt can help lessen the amounts of spinal flexion (your spine’s forward bend), the spine’s lateral flexion (side-to-side bending) and spinal extension (the spine’s bending back). However, the belts, in turn, help increase the amounts of flexion at the knees and hips. In simpler terms, a powerlifting belt will force you to make use of your legs rather than your back when lifting heavy things. This happens to be exactly the biomechanical position you need to use when you have to lift relatively heavy items from the ground. This position is also what you want to be using during squats or deadlifts with a barbell. A few studies have shown that wearing a powerlifting belt during a weight training session can help increase intra-abdominal pressure by about forty percent. Other studies have recorded the intervertebral discs compression went down by up to fifty percent when using them. The increase of intra-abdominal pressure is something like the inflation of a balloon inside an abdominal cavity. This pressure found inside the abdominal cavity is what helps support the spine by pushing on it from the inside. The core muscles located in the lower back and abdominal wall, on the other hand, enhance this support structure by pushing from the outside. Okay, does using a belt actually help increase your muscle growth, strength and power? Yes, it certainly does! A lot of research has shown that it has the ability to help increase everything we’ve just mentioned. Especially, when it comes to the lower body exercise routines such as squats. These belts can help you lift an average of ten pounds more than you’re usually capable of doing during squats. Some people that use them even record that their rep speed, on squats especially once again, is around ten percent faster when using the belt. Furthermore, wearing powerlifting belts helps increase muscle activity located in the hamstrings and quadriceps muscles. A very useful way you can provide your lumbar spine with a protective layer is by making use of a vegan powerlifting belt. This region of your spine is prone to facing injury whenever heavily loaded during a flexed position. Such things like deadlifts and squats that happen to go the wrong way can help contribute to such types of injuries. This is precisely why a powerlifting belt can prove to be a useful support tool for your back in such scenarios. If you want to get an effective product always opt for the more popular vegan lifting belts. These belts are usually bound to give you the results you’re looking for. No one can deny the fact that moving or lifting heavy weights and loads is just as much about mental fortitude and toughness as it is about the physical aspect of all of it. Sometimes, making use of a powerlifting belt, alongside several other types of equipment used for support, can provide weightlifters and powerlifters that little extra confidence as well as a mental boost to complete a lift successfully. 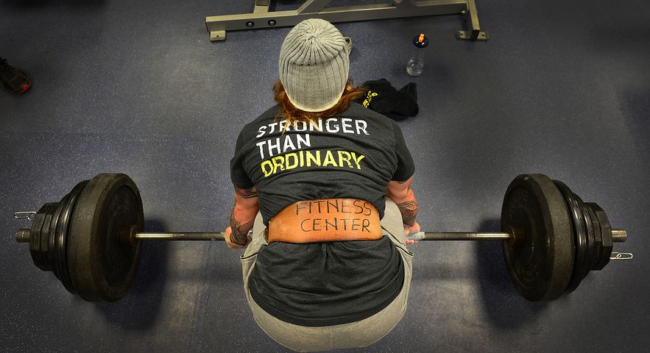 We’re basically saying that vegan powerlifting weights bode well with the mind as well. They have the ability to even support the mental. Powerlifting belts can prove an effective supportive tool for fitness athletes, weightlifters, powerlifters and the like. However, this can only happen when you’ve breathing abilities and beltless bracing skills have been fully developed. Newbie lifters might find it really hard using vegan powerlifting belts so you might want to practice first a little bit before getting one. Only try using it when dealing with maximal loads. Other than that this belt is an outstanding gym product. Definitely worth a try for those that are interested.